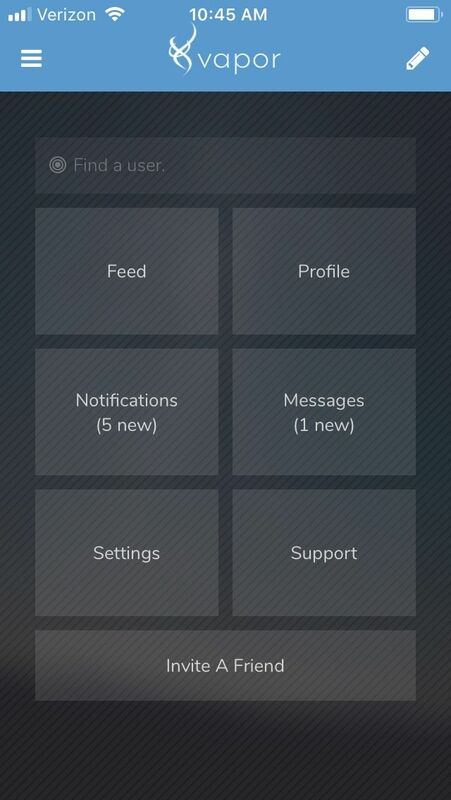 push notifications, which will be used when you're tagged by a user (like this @vaporapp). I'm deeply concerned about the mass adoption of the steem blockchain, and given that these features exist on modern centralized social media alternatives, I feel that these are the biggest barriers keeping regular users off of the blockchain. However, I'm also very interested in hearing from the community about feature requests, which is why there will be a support form built directly into the app. Also, of course, feel free to chime in on the many posts I'll be making over the course of the development cycle with any suggestions! Here are screenshots from the latest demo given to me by the developer. Can't wait to get this technology into the hands of users! Can't wait to get it into everyone's hands! 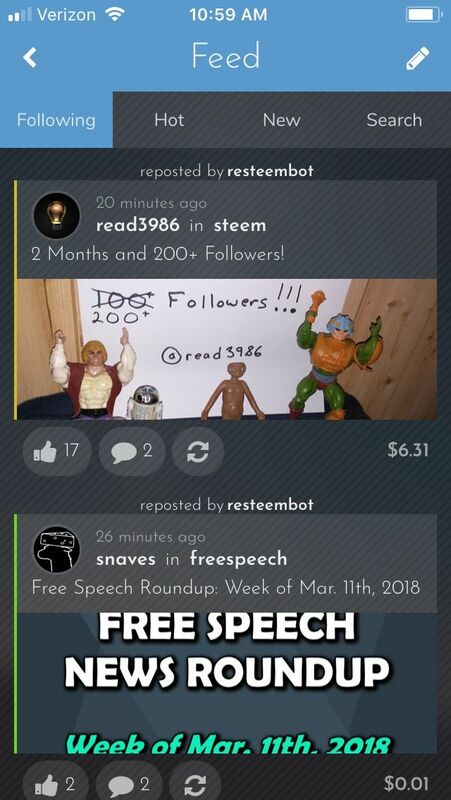 makes browsing steem comparable to the other social media apps. Great idea! A good mobile experience is clearly needed for mass adoption. Will the code for this app be made open source? The @utopian-io community could pitch in with both ideas and development. I was just talking to the developer about this after your comment. I think we're both in favor of open sourcing the project. Being a developer myself, one thing I've always dreamed of is paying developers to contribute to open source. That said, I don't want to get ahead of ourselves. Getting the app built and out to the community is itself a large task, and I don't want myself and the developer to get overwhelmed by doing too much at once. What I envision happening is, development, releasing the app, then open sourcing it after that for improvements and maintenance. At this point we'll look to pay developers for their pull requests in profits received from the app. The utopian-io project is build on the idea of paying for open source contributions(see the utopian bot that has almost 4 million steem power), so you won't have any financial burden after you open source it. Anyways, good luck with the project, I look forward to seeing a first release! I recently had a pull request accepted into the eosio repo. How would I submit something like this to utopian-io? I'd like to get a feel for the process before jumping head first into it with this mobile app. It's amazing how useful that really is though. I do the same quite frequently. welcome to the magic that is steemit! This post has received a 3.77 % upvote from @booster thanks to: @five34a4b. This is pretty cool. I am gonna have to try it out for sure. So your one of the creators? I am. I can add you to the list for beta testers once we're done with development if you'd like. 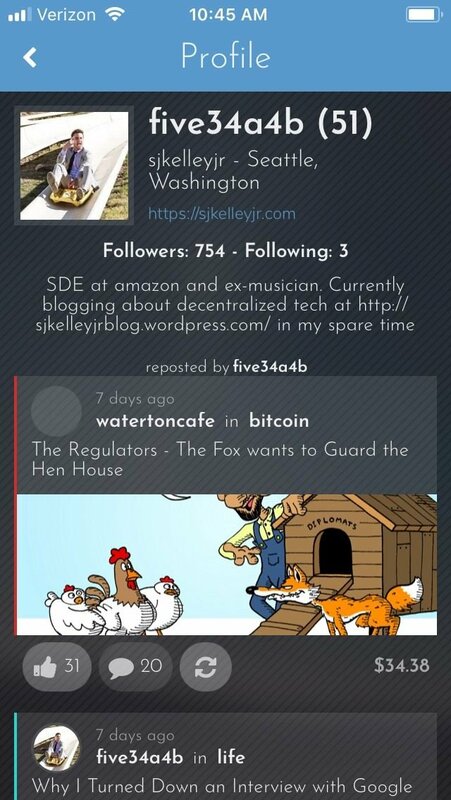 Though i had registered with steemit so long time ago. But i was irregular in this. now when i saw it's trending new steps on develop, it has attracted me so much And after checking all new things i have found something that i must need on steemit. Because i am so much smartphone addicted for browsing internet rather then my laptop. So, i am so much curious for this and i am thanking you gyz in advance for giving steemit community with such contribution or in my word "A PRECIOUS GIFT FOR SMARTPHONE STEEMERS"